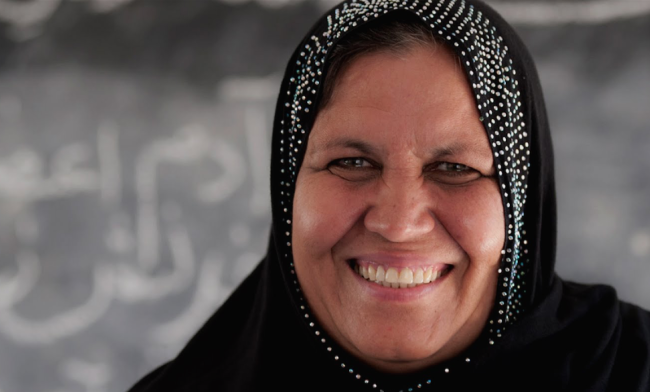 Long before the world was introduced to Malala Yousafzai, there was Aqeela Asifi, a woman who has been championing the cause of girls education for decades. She is a woman who exemplifies courage, entrepreneurship and humanity in the midst of hardship. In fact it was her own hardship that pushed her to be somewhat a a revolutionary for young girls. Aqeela is originally from Afghanistan and grew up in a time where societies flourished and liberal values defined their life. She is the daughter of parents who were very enlightened and supported her education. She became a teacher of history and geography. But soon the place she called home changed drastically, and hasn’t been the same since. “I was lucky to be born in a very enlightened and liberal family. My parents were very supportive of my and my siblings’ education. Kabul was prosperous, vibrant city there was no difference in the way men and women were treated. I lived in a time in Afghanistan that many haven’t seen,” she told BBC News. In 1992 Afghanistan was caught in a civil war which saw mujahideen Islamic guerrillas take control of the capital Kabul, where Aqeela lived, and the government. Today Afghanistan is a democracy again, after decades of being under the Taliban rule, but it has been incredible slow to recover, especially when it comes to education and women’s rights. Aqeela, her husband and children left everything behind and were forced to flee to neighboring Pakistan where they ended up in a refugee camp. She was 26 at the time, and adjusting to her new life in Kot Chandana refugee village in Mianwali, a very conservative area in the Punjab province was a shock from the beginning, for one reason in particular. “The people were generous and kind at heart but also very traditional. Girls weren’t allowed to leave the house, let alone get an education,” she said. 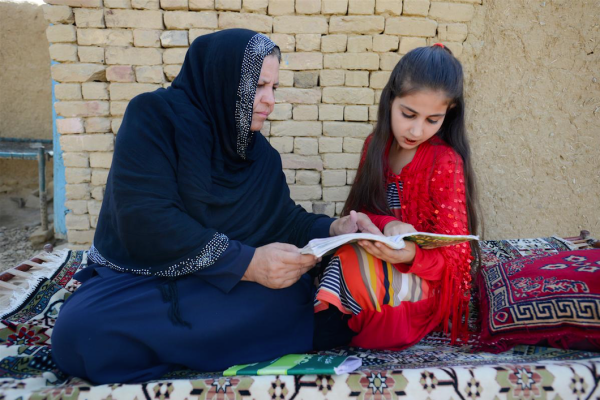 Coming from a family where she had the privilege of going to school and earning an income, Aqeela was compelled morally to help the Afghani women and girl refugees she met to get educated. Today, at 49 years old, she is responsible for helping more than 1000 girls get educated up to 8th grade level, and in September 2015, she was awarded the UNHCR Nansen Refugee Award for her efforts in Pakistan. According to the UNHCR, Afghanistan is the largest, most protracted refugee crisis in the world. Over 2.6 million Afghans currently live in exile and over half of them are children. Access to education is vital for successful repatriation, resettlement or local integration for refugees. Yet globally it’s estimated that only 1 in every 2 refugee children are able to go to primary school and only one in four attend secondary school. And for Afghan refugees in Pakistan this falls further, with approximately 80% of children currently out of school. Since the fall of the Taliban in 2001 5.7 million Afghans have returned home, yet insecurity still remains. Aqeela’s life story is both impressive and admirable, but she has not always been thought of this way. When she initially began trying to get girls to go to school in the refugee camp, she was met with a lot of opposition from the families, and it took a certain type of cultural understanding for her to change the lives of the young girls. When she first set up her school in the camp, the girls didn’t even know what to call her as the word for “teacher” was not commonly known. She had to go from family to family, trying to persuade them that sending their daughter to her school was important. It took a while, but she eventually had 12 girls come and study under her. In a guest post for GirlEffect.org, Aqeela shares a few of the insights she learned in convincing a conservative community to send their daughters to school. The first step was to understand the community of people and how they viewed women and girls. “The parents themselves were deprived of an education so they didn’t see the value of educating their children. It’s more valuable for them when their children are engaged in income-generating activities rather than ‘wasting their time’ going to school,” she wrote. The idea that an educated girl might start demanding her independence can seem threatening in a patriarchal culture where women aren’t viewed as equals, but Aqeela makes an interesting point that men and boys who are educated themselves have a different view. “The root cause is ignorance. A father or brother who has been educated himself would never perceive their educated daughter or sister as a threat,” she said. It is something Malala’s dad Ziauddin has talked about extensively, and is also shown in the lives of other young education activists following in the footsteps of Malala who have come from a family which supports their right to an education. This is an important aspect to breaking down barriers, Aqeela believes. “One of the answers to this is to have more positive female role models. Girls and women who have achieved high distinctions, but still respect their families and culture, could be agents for change,” she said. The other aspect of successfully opening her school was how she showed the refugee families that education was not going to go against their Islamic beliefs, and that it could even enhance it. “Teaching Islamic studies was an important breakthrough. The majority of the people in the camp were Muslim who could read common Arabic verses for prayers, but who didn’t understand the meaning of the language. I started teaching girls the meaning of the Arabic verses, and this impressed the parents because they hadn’t even realized all the meaning behind the verses. Now we teach Afghan cultural and religious studies plus foreign languages and mathematics,” she said. By respecting the culture, and staying determined to prove what she was doing was the right thing, Aqeela has started a mini-revolution in a part of Pakistan that desperately needed it. Her school was so well-received that today she is teaching many of the daughters of her original students! “When you have educated mothers you will almost certainly have educated future generations. So if you educate girls, you educate generations.,” she told UNHCR in an interview after receiving her award in 2015. There are also more schools opening in the village. Among 6 other schools, 1500 girls and boys are getting a head start in life with elementary education. Aqeela hopes her efforts can contribute to a change in how people will view Afghanistan, not for its war, but for its standard of education.